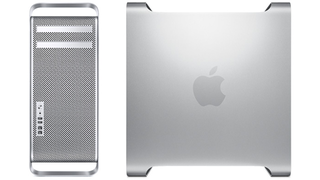 Will Mac Pros Join MacBook Airs in This Week's Rumored Spec Bump Party? Rumors of a MacBook Air update this week have reached such a froth that it'd be more of a surprise if they didn't show up. More unexpected? Speculation from 9to5Mac that a Mac Pro bump is in the hopper too. According to the generally reliable site's source, new Mac Pros have been spotted in Apple's internal listings, and may feature a redesigned enclosure, Thunderbolt, and the possible introduction of a 16 core model. Oh and, along with the MBAs, they'd be the first Apple computers to ship with Lion preinstalled. For better or worse.